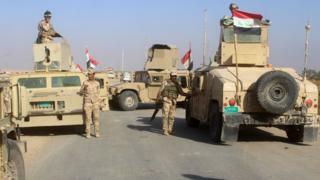 Iraqi forces say they have recaptured Rawa, the last town in the country controlled by so-called Islamic State. 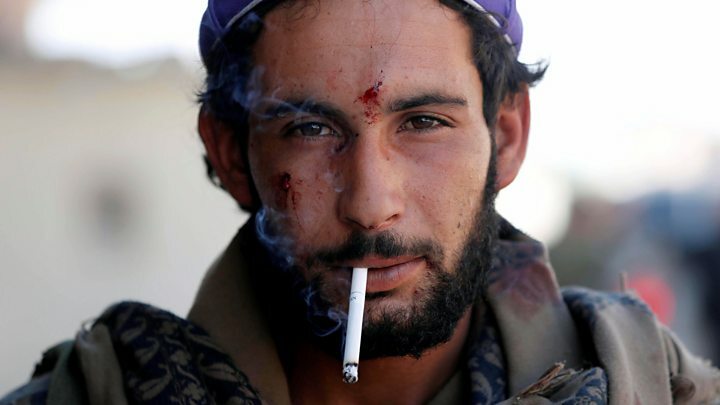 The move, which follows an offensive that began on Saturday, leaves the jihadist group on the verge of complete defeat in Iraq. A few small areas are all that remain under the militants' control in the country, after the larger town of al-Qaim fell last week. Prime Minister Haider al-Abadi says Rawa was taken in "mere hours". "Our heroic forces have liberated Rawa district in a record time and will continue purging and securing the border areas," he said in a statement. Is Islamic State losing control of its 'virtual caliphate'? Many IS fighters are believed to have fled deeper into the desert, as they now have no substantial town under their control in Iraq. Rawa was one of a number of towns on both sides of the Iraqi-Syrian border which IS had designated part of its "Euphrates Province", which it had used to transfer fighters, weapons and goods between the two countries. The cross-border province was also a symbol of the jihadists' intention to eradicate all of the region's frontiers and lay to rest the 1916 Sykes-Picot agreement, an emblem of the colonial division of the area resented by many Arabs and Kurds. 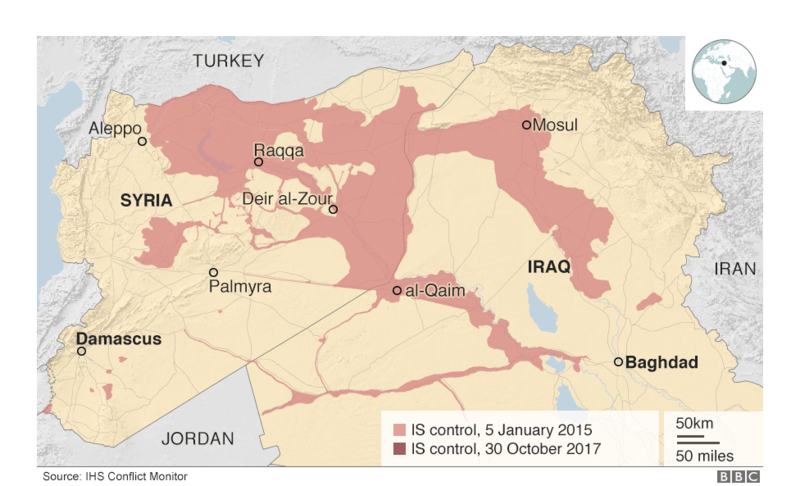 IS has now been driven out of about 95% of the land the group once held in Iraq and more than 4.4 million Iraqis are no longer under its rule, according to the US-led coalition. 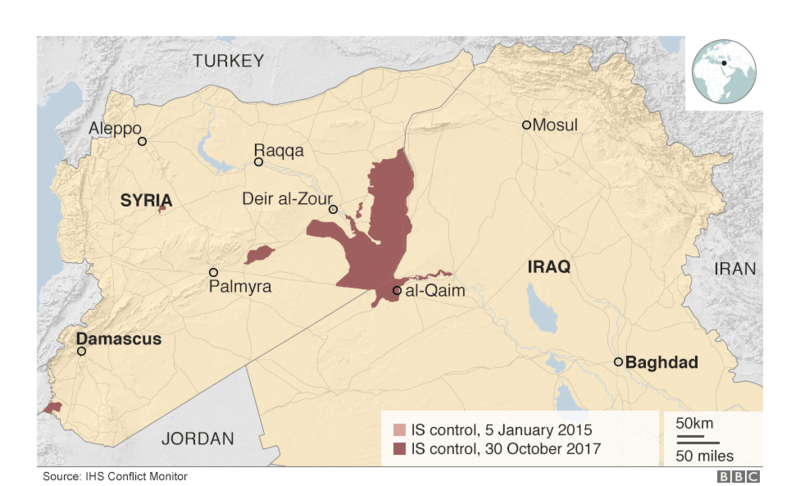 The group has just "months [remaining] at most as a proto-state", the senior Royal Air Force (RAF) officer overseeing British air strikes against IS in Iraq and Syria said last week. But Commodore Johnny Stringer told journalists in London that IS would "almost certainly morph into an insurgent organisation" that would try to launch attacks in the two countries.